We live in a world beset by a variety of issues. Species are becoming extinct, forests are being cleared to make way for corporate profits and so many other aspects of the environment are being destroyed at an alarming rate. Our mission is to save the planet from corporate greed and give people a chance to vote for more healthy and positive choices like Antidote. At Antidote we aim to give people an opportunity to choose food that is mostly raw and organic and free of cruelty. New Brighton Pier, beach, surfing. We live in a world beset by a variety of issues. Species are becoming extinct, forests are being cleared to make way for corporate profits and so many other aspects of the environment are being destroyed at an alarming rate. Our mission is to save the planet from corporate greed and give people a chance to vote for more healthy and positive choices like Antidote. 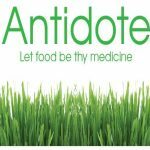 At Antidote we aim to give people an opportunity to choose food that is mostly raw and organic and free of cruelty.